BREVARD COUNTY, Florida --The Charlie Sitton for Brevard County Property Appraiser campaign announced that 5-term Republican incumbent Jim Ford is supporting the Democratic candidate Charlie Sitton who is running against Republican candidate Dana Blickley. Blickley won the Republican Primary by a landslide, beating Ford 44% to 30%. A third candidate, Jason Steele finished the race in last place with 25%. 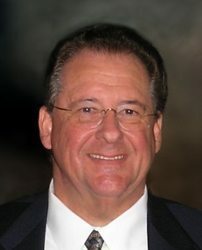 Blickley said in response to the endorsement, "Many voters have already rendered their opinion of Jim Ford and of his judgment. I would not expect anything different from him." Jim Ford’s official statement is included below in its entirety. The Sitton campaign says that, "This endorsement comes on the heels of other cross-party endorsements where moderate Republicans or Independents, like former Governor Charlie Crist, are endorsing Democratic candidates because they feel Republican candidates are too far right and have extremist views or opinions." As your property appraiser for 25 years, I am supporting Charlie Sitton to be my successor. 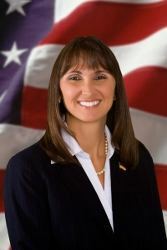 Dana Blickley said she would support Charlie Sitton if I won the republican nomination in the primary election. That is her testament to Charlie Sittons’ qualifications to be your property appraiser. Both Dana Blickley and Charlie Sitton worked for me for 20 + years. Charlie Sitton managed many more people than Blickley and has the steady even handed temperament needed to be a fair and conscientious public servant. Charlie holds an American Society of Appraisers, Accredited Senior Appraiser (ASA) designation and was trained in the mass appraisal process by the International Association of Assessing Officers. He is a person of integrity and knows how to value property. Blickley, on the other hand, was forced to resign or be fired from my office in 2006 due to misconduct. It would be wrong for voters to return her to this office whereby she can take retribution against numerous deputies who revealed and confirmed her inappropriate conduct in an internal investigation. Most of those deputies are terrified of that possibility. Blickley also made false, reckless accusations and lost a lawsuit that unnecessarily cost hundreds of thousands of dollars in legal expenses to defend the office on behalf of the taxpayers. Blickley is a member of the right wing Titusville Patriots, a local Tea Party organization and was endorsed by the Tea Party. As such, she should have little general election appeal to mainstream republican voters and democrats alike. Her Primary Election victory, with less than a majority of the vote and in the absence of a run-off election, is certainly no republican mandate. Some mainstream republicans, like Charlie Crist have even left the Republican Party to be able to express their intellectual independence and escape a rigid right wing agenda. Sitton can be counted on to maintain realistic, accurate property valuations. Blickley has said that current assessed values are too low. Higher valuations would mean higher property taxes. Sitton will preserve and protect an office of professionals who are extremely competent and have served you well for many years. In fact, that was my primary motivation for seeking a seventh term of office. Thank you for your confidence for over 25 years of public service. For those who have supported me, I ask that you trust my endorsement of Charlie Sitton as the best person to lead this office for the next four years.